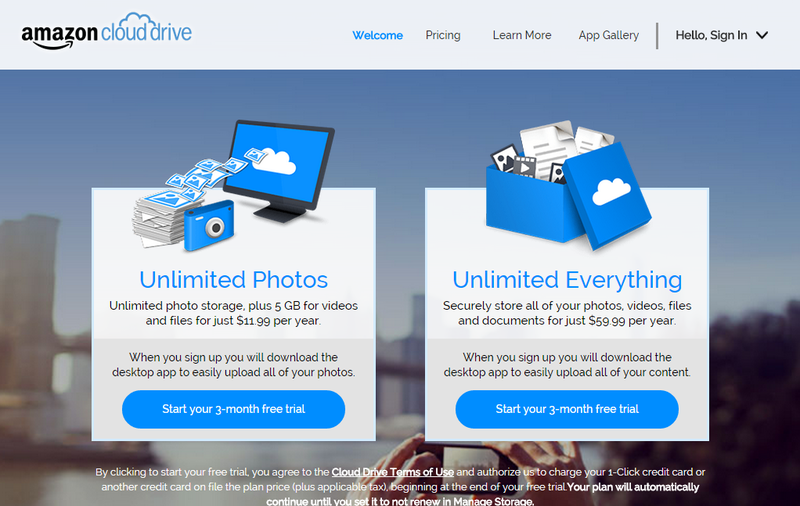 Amazon Cloud drive now offering unlimited storage with very less price. In Amazon Cloud drive you can photos, videos and any other files. The pricing structure starting from $11.99 per year. For $11.99 per year, Amazon is offering unlimited photo storage and 5 GBs of storage for anything else you want to host online. For $59.99, Amazon will host anything you want, with no storage limit. Those prices are a lot less expensive than what you'll find from many of Amazon's biggest competitors, including iCloud, Google Drive, and Dropbox.